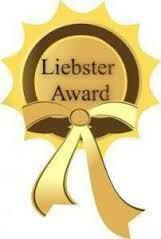 Well, I’ve been nominated for the Liebster Award again, this time by Marie over at Curran Kentucky. Thank you Marie! Well, I say that I have been nominated for a second time, but the logo is different from the last one I received and the rules are slighty altered so I’m sure if it’s the same one. Nonetheless I’m very happy that she thought of me. Please, go read her blog about living with ME. I find it very insightful and I really like her poems. So, as always with these awards, there are some rules for me to follow. I have to thank the blogger who nominated me, answer the questions set for me, nominate 10 others for the award and set some questions for them in return. Then, notify them and you can display the award on your blog too, if you like. Other than the obvious World Peace, what would your one wish be, if you had one? Ohhh, tough choice. Im really not sure. Maybe an end to world hunger? I like the morning, it’s when I’m at my most productive. 5. Who is your favourite poet/author? Poet: Emily Dickinson and Nicci French, Val McDermid and Jodi Picoult probably all tie for my fave author. 6. What is your most vivid childhood memory? Probably the day I got my Mini and Micky Mouse toy pram when I was about three. We were visiting my granddad in the nursing home and my dad took me to Argos to go and get it. I watched for it come down the conveyer belt and when it got to us, dad said that I was still little enoughto ride in it. When we got back to the nursing home, he pushed me to my grandad’s room. 7. What is your favourite word and why? 8. What would your ideal day be? One where everyone was equal and there was no fighting. 9. What is your favourite piece of furniture and why? My desk because it’s where my writing happens. 10. What would you do, if you were told blogging was a new sin? I’d probably try and find a way to do it anyway. I’d miss it too much. What was the first movie you saw as a child? Hot chocolate with cream or tea and biscuits? What was the first movie you saw at the cinema? Books on the Tube: I always look forward to Kathy’s book reviews. It’s because of her that I started to read the Rivers of London series by Ben Aaronovitch, which I love. Linda Bloodworth: I find Linda’s blog to be a very good insight into what itfeels like to write a novel. How to be Jobless: Being an unemployed journalism graduate myself, I can relate to a lot of the things that HTBJ writes on their blog. It’s really funy and helps to give me a little pick me up when the job hunt is getting me down. The Librarian who doesn’t say shh; Again Tara’s writes about YA fiction books. Salt ‘n’ All That: Go and read Jackie’s blog for short stories and an insight into her life with Cerebral Palsy. Curran Kentucky (see above link): Is it cheating to say that if Marie hadn’t nominated me, I would’ve nominated her. Lucy Milne: Go read my friend Lucy’s blog about dress makin, clothes and looking on the bright side of life. What made you start your blog? My gut decided to go and do it, to help raise ME awareness. I like to trust my gut, so here I am in blogger world, meeting fantastic people like you! What do you enjoy most about blogging? I love being able to access amazing people’s blogs, read their stories, their achievements, their positivity. I love positivity. What was your favourite childhood toy? mmm I think it would have to be a small brown teddy bear, he traveled the country with me. What was the first book you remember reading? That would be one of the noddy books by Enid Blyton. She was a favourite for me. Secret Seven, Famous Five, they rocked. What was the first movie you saw as a child? I think it was Thomas the Tank Engine, as narrated by Ringo Star. They were short pieces my mum bought for us on VCR! What would your super power be? Being able to do things without moving, whatever the term for that would be, as in blink my eyes and turn the TV channel, blink again to cook dinner, blink again to go outside, get my drift???! Hot chocolate with cream or tea and biscuits? Hot chocolate all the way, what a bold treat, cream, sugar, marshmallows, everything I’m not allowed eat in one mug, seriously bold. What is your favourite kind of music? I’m a bit of a geek on the music front, give me a piece by Andre Rieu on sky arts any day, I love classical music when my body is in a grump, its so calming, soothing, love it and Andre Rieu, if you haven’t come across him yet, check him out. The man is crazy, brilliant, fantastic. What was your favourite TV show as a kid? My younger sister was the one in control of the remote control in our house so I normally watched her choices!! but I reckon an Irish program Zig and Zag, was up there. What was the first movie you saw at the cinema? A care bear movie, all those cuddly bears and those fluffy clouds, what simple stories! Haha, it’s not cheating I’m pleased you answered them! I love Enid Blyton too. I still have some of my Mum’s Noddy books from when she was a child, but they’re falling to bits. I loved the Magic Faraway Tree books too. That hot chocolate sounds amazing. I have a friend who like to drink them through a Galaxy Ripple bar if that makes sense? Thanks for the music suggestions too. I shall check him out! LOL Jeepers, the galazy ripple bar is a great tip, on my next breaking rules day I’ll be trying it!! Dangerous! Hahaha I don’t need external bad influences (I’m dangerous enough on my own), although I must point out yes, you are one!!! LOL. haha! I hope you enjoy the hot chocolte when you have it! Thank you for the nomination!! My perfect day also consists of no fighting, too; just peace and quiet.